It allows users to connect Microsoft services and third-party apps in logical ways. Apps like IFTTT (If This Then That) connect services in logical ways: texting your spouse, for example, when you leave work. 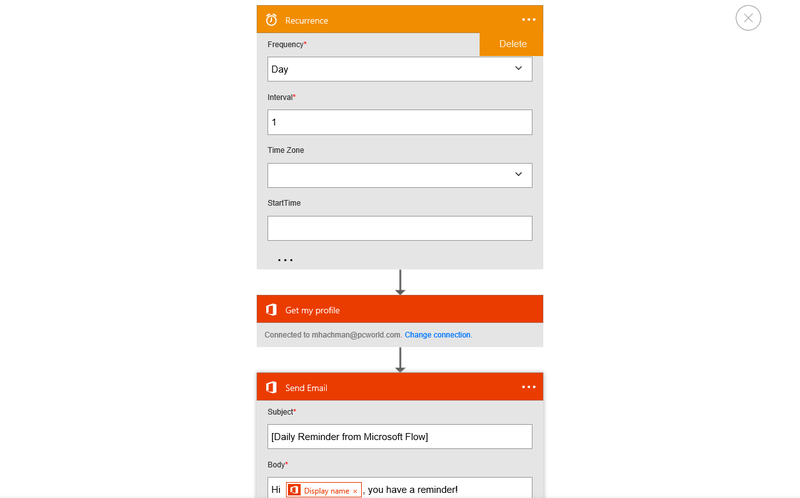 Microsoft has created a business-oriented preview service called Flow that acts in much the same way, but with its own software and partner apps. Flow isn’t an app, but a way to connect apps and ask them to do specific tasks. 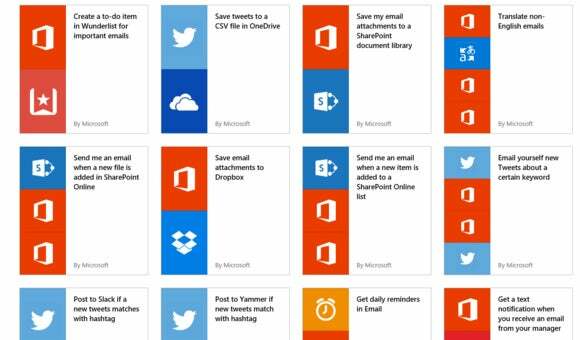 To help users get started, Microsoft has created a series of “templates” of common use cases: for example, having Twitter tweets saved in a CSV file in OneDrive, or having a text sent to yourself when you receive an email from your direct superior. Confinguring a Flow template really just means tweaking a number of options, rather than actually typing in an archaic string of commands. For now, Microsoft only allows you to work with a selected list of apps, as well as specific functions within those apps—it’s a preview, after all. The list includes Box, Dropbox, Dynamics CRM, Facebook, Github, MailChimp, OneDrive, Salesforce, SharePoint, Twitter, Wunderlist, and Yammer, as well as general HTTP (Web) connections and Swagger APIs. Obviously, adding additional apps and functions will be the key to Flow’s long-term success. An video demo, for example, shows how Flow could search Twitter tweets for a particular mention, follow them, and send a nice reply. For now, it appears that the only way to interact with Twitter is to search out a new tweet. Still, Flow appears to be another tool in your pack to chip away at the mountain of busy work we all face—and that’s a good thing.